Wroxham is a parish in the Broadland Local Government District, situated on the southern bank of the River Bure. 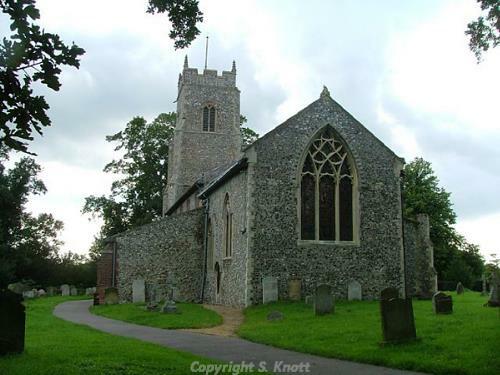 It has a population of just over 1500 people, and is a large settlement that has over time merged into the village of Hoveton, on the northern side of the river. The parish has an area of just over 600 hectares, and contains Wroxham Broad. The name ‘Wroxham’ may derive from the Old English words for homestead where the buzzards are. The earliest object to be recovered from the parish is a Palaeolithic flint handaxe (NHER 8051), found in 1973. Two Neolithic stone axeheads (NHER 8052 and 8053) have also been recovered, along with a polished axehead (NHER 11795), a chipped and polished flint axehead (NHER 14380) and a polished flint chisel (NHER 14961). The earliest monuments in the parish are the cropmarks of three ring ditches, idenfitied as possible Bronze Age barrows (NHER 21850, 36447 and 49164). Interestingly one of these is associated with unidentified linear features (NHER 36447), and two with pits (NHER 21850 and 36447). No objects or monuments from the Iron Age have been recorded, and only a two coins from the Roman period have been discovered (NHER 11201 and 31967). However the cropmark of a possible Roman rectangular enclosure (NHER 36448) was noted by aerial photography in 1995 and 1996. No objects or monuments from the Saxon period have been discovered, but the settlement is recorded in the Domesday Book of 1086 and appears to be both populous and valuable. Interestingly the entry also mentions two churches. Today only one is present; St Mary’s Church (NHER 8074). Although this building dates largely to the Perpendicular period, the church does contain a Norman style south doorway with three orders of colonnettes with decorated shafts and capitals, and four forms of decoration on the arches. The church also contains a medieval alabaster panel of the Holy Family in the vestry, and in the churchyard is a notable mausoleum monument by Anthony Salvin, built between 1827 and 1828. 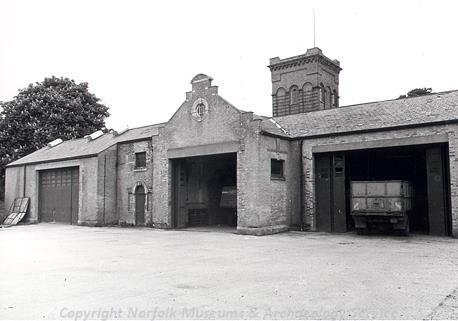 An important part of medieval life in the parish was peat-cutting, an industry that grew to a large scale, at one point producing millions of tonnes for use as fuel both locally and in Norwich and Great Yarmouth. During the late medieval and early post medieval period the cutting flooded, producing the features known today as The Broads. In this parish these include Wroxham Broad (NHER 44123), as well as Bridge Broad (NHER 13518) and Norton’s Broad (NHER 13520). Other medieval features include a moated enclosure (NHER 8076) at Old Hall Farm, which may have been the site of the predecessor of the post medieval Wroxham Hall (NHER 8068). The cropmarks of another possible moated enclosure (NHER 17471) have also been recorded, as well as the possible site of Wroxham House (NHER 17353), which may have dated to the medieval period. A small number of objects have also been recovered, comprising a jetton (NHER 18435) and a coin minted under Edward III (NHER 31399). One of the most noticeable post medieval features of the village is Wroxham Bridge (NHER 8425), which was originally built in 1619 and has been altered and widened several times since. It is a single arch hump-backed bridge that crosses the river and joins Wroxham to Hoveton. Parts of the original brickwork survive. There are a number of other buildings of interest in the parish, the earliest of these being Manor House (NHER 13355), which dates to the early 17th century and has a number of 19th century windows with leaded glazing and an unusual central door facing the street. Rivercroft Cottage (NHER 45690) is slightly later and has a gable wall tie dated to 1670, with irregular 19th and 20th century windows. Also of interest is Crowsteps (NHER 41755) which dates to the 18th century and has crow stepped gables to the north and south, and dating from the same period is Broad House (NHER 45682), a red brick building with a patterning of dark headers and slate roofs. More recent but also of note is the New School (NHER 32068), a Tudoresque style building of brick and terracotta dating to the 19th century. It should also be mentioned that the parish was the site of several minor industries during the post medieval period, and these included two post medieval brick kilns (NHER 15934 and 15938). In addition, a 17th century pottery kiln (NHER 17054) is known to have existed at an area directly south of Broad House. World War Two also made an impact on the parish. At least three pillboxes were situated in this parish (NHER 32579 and 49167), one of which (NHER 19210) survives today and was originally designed to watch over the railway line. 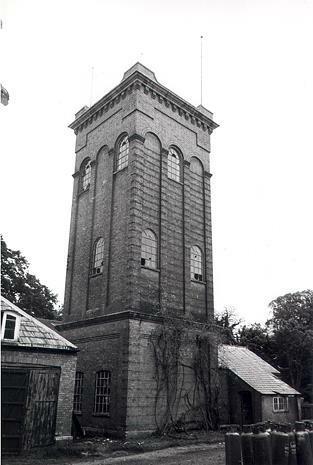 It is also recorded that the parish was the site of a V2 rocket crash, which hit at 16:48hrs on the 4th of October 1944.